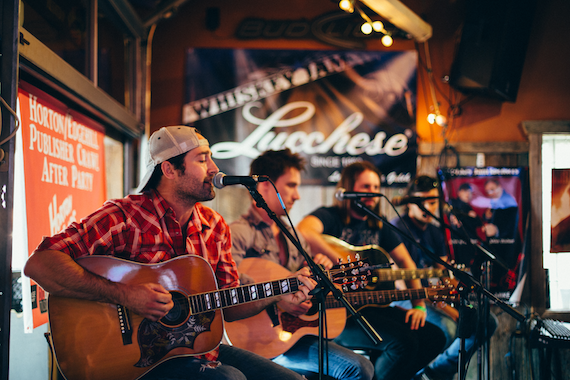 Big Machine Music partnered with several independent publishers, including Sea Gayle Music, Liz Rose Music, Wrensong, Little Louder, and Ole, for the second edition of “Horton Hears A Hit Pub-lisher’s Crawl.” The event was sponsored by Fifth Third Bank and Buddy Lee Attractions. Artists Cassadee Pope, Charlie Worsham, Ryan Kinder, Mickey Guyton, Austin Webb, producer Frank Liddell and their A&R representatives all took part in the event. 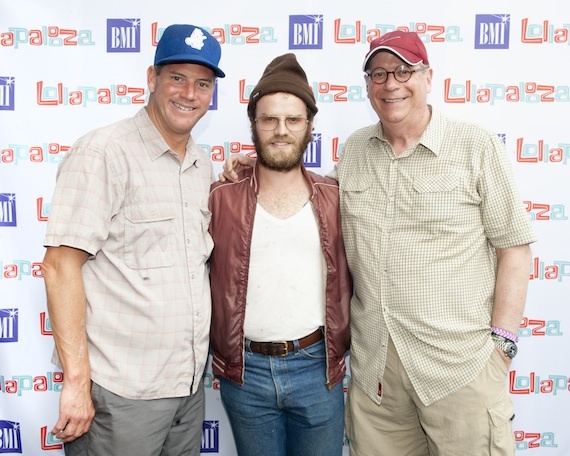 BMI Executive Director, Writer-Publisher Relations Mark Mason (left) and BMI Vice President, Writer-Publisher Relations Charlie Feldman (right) flank Fly Golden Eagle’s Ben Trimble backstage at Lollapalooza. Broadcast Music, Inc. (BMI) presented 21 acts on its 2014 Lollapalooza stage, Aug. 1-3 in Chicago. 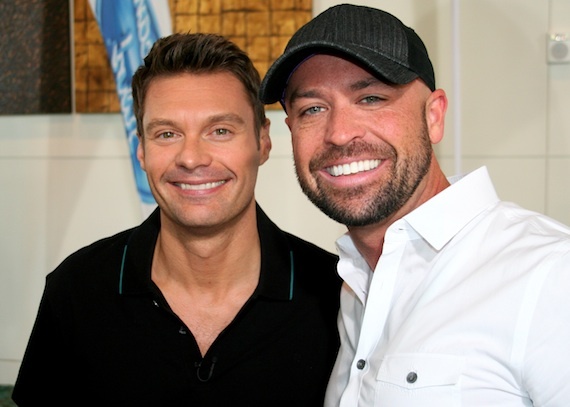 Ryan Seacrest (L) and Cody Alan (R). CMT’s Cody Alan made sure to catch up with fellow Premiere Networks host Ryan Seacrest during recent American Idol auditions in Nashville. It is unclear at this point whether or not Alan decided to audition for this season.